The "Stone Face". Some people think this was carved, but if you ask me - completely natural. Near the mouth of the canyon you can see a fairly good sized mine along this dirt road, but it is on private property and we have never been able to get over to it. Many stories exist of hidden mines in the North Fork of the Duchesne. One such story was told in George Thompsons book "Faded Footprints" pg. 76. "Not long after the Ute Reservation was opened to settlement, Frank DeFa established a ranch along the North Fork of the Duchesne River. Several old men in that area still say that DeFa knew of a secret place where Indians who worked for him obtained gold; they say from an odd looking blue-colored rock. They say that DeFa would ride his old gray horse from his sawmill at the ranch and would go up into the mountains. A few hours later he would return with a grain sack about hall full of that odd blue rock. He would never talk about or reveal the Indian's secret, so no one knew just where he got that unusual rock, but all of those old-timers say there was plenty of gold in it." North Fork Cave does not have any natural formations or anything truly interesting to see, it is simply a pocket about 150' long and about 40 ft. tall at the entrance. Some of the treasure stories in North Fork refer to the natural caves as a point of reference. If you can find this one then you may be on your way to solving the other mysteries the canyon holds. Another story was told in George Thompsons book "Faded Footprints" pg. 76 of an old mine covered by a rock wall. "During the recent oil-boom in the Uinta Basin, it wasn't unusual for oil company geologists to hike into the back country. During the closing days of those prosperous times, two company men came upon a mine tunnel of ancient appearance, along the North Fork, and not far down country from where DeFa found gold. If you drive up the North Fork, you will see towering cliff's on both sides of the canyon, and it was high upon one of those ledges that they found a place where stones had been carefully fitted together to make a rock wall, a wall which was obviously man-made. Their investigation disclosed that wall concealed an old tunnel portal. Behind that wall they uncovered timbers which had once been a portal set, but for some reason beyond their understanding, the tunnel beyond that portal had been painstakingly filled tight with stones and soil. Bear in mind that there is very little soil on those cliffs, so that it had to be carried there from far down the canyon. Wondering why anyone would have gone to such great labor to hide whatever lay beyond, they began the slow process of digging out those ancient dig­gings. With time to work only when their employment permitted, their excavation made slow progress. It came to an end when they were transferred to a more promis­ing oil exploration area. If you would like to take over their work at that old tunnel, just take a drive up the North Fork. Watch for a turnout where you can see a small mine dump low on the west side of the canyon, across the river. If you scan the opposite (east) side of the canyon with binoculars, you can spot their diggings high on a rocky point of land, just above some natural caves. Of course there might not be anything of value in that old mine; yet one can't help but wonder who someone filled it with rock and dirt and then built a rock wall to conceal it further if they weren't trying to hide something." Gale published the following map and story in his book "Lost Gold of the Uintah". Reid Powell and I have spent a good many hours with Bing (Wilford Bingelli), over a long succession of years, trying to ascertain the facts of his find. I even once had him placed under hypnosis by a friend, Leo Lindsay, in an attempt to bring out any hidden or forgotten pieces of information, or to eliminate confusion of the facts. But his story remains clear, precise and to the point. I am thoroughly convinced that he found what he said he found, that it was a very rich mine, and that it was probably the Spanish "Mina des Damian" or Mine of Damian (Mine of the Duchesne) shown on Rhoades' old Spanish map. With the stock market crash of October, l 929, a period of economic crisis and low business activity crippled the United States and other countries and continued through the 1930's. So in 1932 times were tough, jobs were hard to find and many families lived on very little of anything. Wilford Bingelli had worked at the Bingham Copper Mine west of Salt Lake City and for the Park City Mines at Park City during the 1920's and then for a Park City utility company until the great depression cost him that job and made him just another victim of hard times and long bread lines. However, he was not without a job for very long, for he and several others managed to obtain employment with the U.S. Forest Service on a government sponsored program destroying diseased trees within the National Forests. 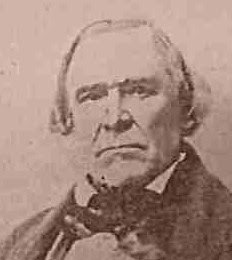 The group of about 30 to 35 men with whom Wilford Bingelli worked operated within the Soapstone, Iron Mine Mountain and Lightning Ridge region of the Rhoades Plateau. It was their duty to scour the mountains of that area in groups, locate diseased or bug-infested trees and destroy them. The method for this was determined by the size of the trees, small ones were cut and stacked while larger ones were burned where they stood. Early in October of 1932 the group had moved their base camp from Iron Mine Lake to an area known as Cold Springs. On one particular morning after breakfast and about sunrise the group was placed aboard Forest Service trucks and transported several miles across the long, flat plateau north of their camp to a place near the head of Trail Hollow, where they disembarked to begin work for that day. The plan was that they would fan out from one another, as they had in the past, and work themselves slowly back toward their Cold Springs camp, making a wide arc along the mountain crest. Wilford Bingelli and Bill Nunley (an old prospector from Richfield, Utah) were working the extreme outer end of the lone line of men as they fanned out through the trees to begin their drive through the forest in search of the diseased trees. The process was a slow one. In the first place, they had to move slowly through the trees so as to make certain they had missed none that should be destroyed. Secondly, when found, the diseased trees were either cut down, stacked and then burned or they were sprayed with oil and burned where they stood. The heat of the fire and the steam from the heat killed the beetles and kept them from spreading to other parts of the forest. The men would walk and cut and burn, and walk and cut and burn day after day. By noon on this particular day they had made their way only as far south as the head of Rhoades Canyon, a distance of about two and one-half miles. There, on a small rise just north of a small pond of water, they stopped for a thirty minute lunch break. They were now almost due east of their Cold Springs camp by about two and one-half miles. Theoretically, then, their long swath or arc back to the place of their camp was, at noon, halfway completed, and the general direction then taken would most probably be more in the direction of their camp than away from it. But when they had finished their lunch, according to Bingelli, they continued southeast down the western slope of Lightning Ridge, walking a block or more before again entering the trees. As they worked their way down the eastern slope of Rhoades Canyon, one of two possible routes were then taken. Bingelli seems to have remembered crossing over Lightning Ridge, and dropping off onto the other side; of this he wasn't sure. Under hypnosis, however, he recalled having worked their way down the eastern slope of Rhoades Canyon and, after coming out of the trees, crossing some sort of a little valley and Rhoades Canyon they to begin working their way back up the other side in the direction of their camp. Regardless of the actual route taken, just as they started up the steep slope, whether this be the eastern slope of Lightning Ridge or the western slope of Rhoades Canyon, Bingelli came upon an area where two small finger-like ridges protruded from the side of the larger ridge. This formation appeared to him, as he looked toward the top of the larger ridge, as an upside down "Y". By this time it was about 3:30 or 4:00 in the afternoon and it was just beginning to snow. There was about two inches of new snow on the ground and it looked like much more snow would come. He'd just begun walking toward the steeper ridge and through the sparse trees along the level contour of the northernmost finger, which was only about 50 yards long, when suddenly, about half way across it, the ground opened up and fell from beneath him. Quickly, he grabbed a nearby tree, stopping his fall. As he pulled himself up the tree and out of the hole, he could see that this had been a cleverly concealed mine shaft, and a very old one at that. They had enlarged the face of the entrance and had placed large cut logs, l2 to 14 inches in diameter, down inside the shaft and across the opening and had then covered the logs with 4 to 6 inches of earth so as to match the surrounding area. Until the moment when Bingelli walked out and upon it, it had been completely concealed and inconspicuous. But the weight of his body upon the badly rotted logs had caused the cover to collapse. Immediately, Bingelli called out for his friend, Bill Nunley, who was at that time some distance away, and had instructed him to come over the where he was at. While Nunley made his way through the trees of the steep mountainside to find Bingelli, Bingelli had begun using his ax to knock the remaining logs from the old mine entrance. 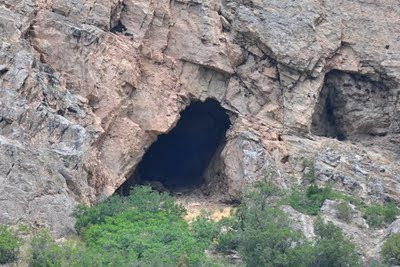 The entrance of the old mine was rectangular in shape, about 4 X 6 feet in size, and the shaft entered the mountain at about a 45 degree angle, with hand and toe holds cut into the solid rock wall which had been used in the past as steps or a stairway in and out of the old mine. On the upper side of the stairway there were four definite vein structures within one vein; one of a chocolate brown quartz, one of a white sugar quartz, one of a milky colored quartz and another of a chocolate brown - each from 10 to 14 inches wide. The vein of white sugar quartz was loaded through and through with small gold nuggets the shape and size of wheat kernel. When Bill Nunley finally arrived at the scene and saw what Bingelli had discovered, he grew exceedingly nervous and wanted to immediately leave the area. "It's got to be the old Rhoades Mine," he exclaimed. "It's certain death to find this -- there's a curse on it. Let's get out of here before the Indians kill us!" Bingelli, of course, was puzzled by his friend's reaction to the find. He knew that Bill Nunley had been an old prospector in the past and he could not understand why, all of a sudden, he seemed so nervous. But, in spite of Nunley's warning, he was not about to leave until he had first obtained several good samples of the ore. He took his ax and tried to chop away at the vein structures, but he could not break the hard quartz and nearly ruined his ax in the process. Finally, he settled for a couple of good chunks of the white sugar quartz containing the gold nuggets, which he stuffed into his coat pockets. All along, Bill Nunley was there practically begging him to hurry and leave the mine. Before leaving, however, Bingelli managed to talk Nunley into helping him cover the old mine entrance to keep someone from falling into it, but also to conceal it somewhat until they could later return to investigate the mine further. They cut 10 to 12 trees where they stood and dropped them over the old entrance, each tree being about 6 to 8 inches in diameter. It was snowing heavily at this time and they could not see as much of the surrounding territory as they would have wished, but Bingelli insisted upon taking some sort of coordinates as to the location of the mine. 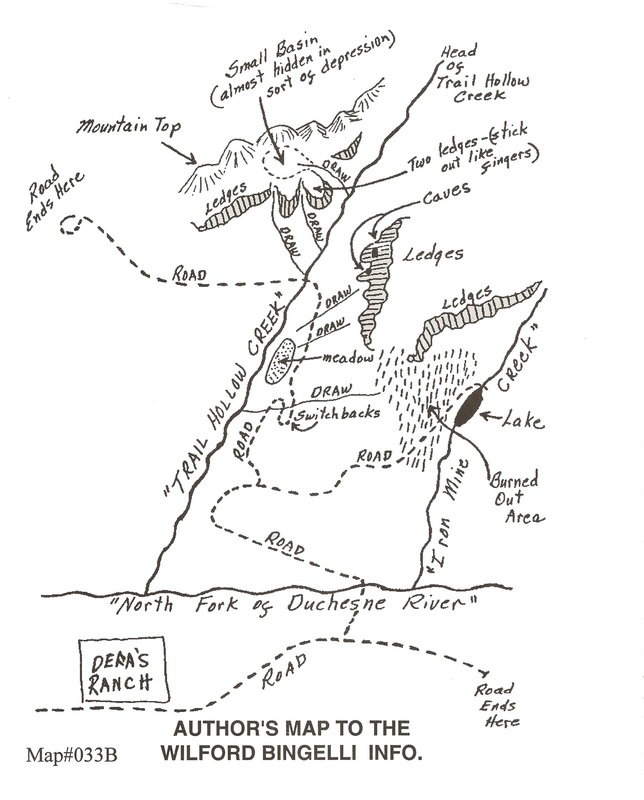 Standing at the mine entrance and facing the direction of where he assumed Defa's Ranch would be located, he raised his arms and pointed away from each side of his body; one arm pointed to a point about half way up the North Fork of the Duchesne and the other arm pointed in the direction of Stockmore. He then walked over to the base of the nearby and very steep ridge, to a very large dead pine tree which was still standing and which had a forked top, and counted 24 steps (yards) back to the mine entrance. Facing the steep ridge from the mine, he could see off to the left a big, deep and rugged canyon, and off to the right a small hollow canyon or ravine which had quite a few light-colored (white or light gray) rocks or boulders scattered about it, most as large as a car but some as large as a small house. As they left the old mine site they had some difficulty ascending the steep ridge to the flat top of the mountain above them, which was only about one block distant from the mine. The ridge was steep and rugged but it was also covered with a slippery blanket of fresh snow. When they reached to top of that long flat-topped ridge, they found the others of their group gathered about trying to light and burn several wet stacks of cut trees. The storm was not letting up and the snow had accumulated to a depth of about 5 or 6 inches, falling so heavily they could only see for a very short distance. Finally, the foreman of the operation ordered everyone to leave the area and head back to camp. From there they walked as fast as they could, sometimes running, along the top of the ridge, rushing toward the general direction of their camp. By the time they neared their camp it was dark and the blinding snow blocked much of their view and many wondered if they were not lost. Then someone hollered, "Down off and to the right;' so they dropped off the ridge at that point and walked into camp. At camp the snow was about one foot deep. The Forest Service Rangers had already dismantled their camp and was tying chains on the wheels of the trucks when the men arrived in camp. Soaked to the bone, exhausted and half frozen to death, the men loaded into the trucks and began their journey out of the mountains. Many times the trucks became stuck in the mud and the snow and often times they had to literally carry the trucks through the mire or back to the road. On one such occasion, Bingelli removed his coat, so that he could better push or lift without restraint, and had thrown it up into the bed of the truck. Unfortunately, when they finally reached their destination, and when he retrieved his coat, his ore samples of sugar quartz and nuggets of wheat gold had vanished and he never did find them. Two years later Wilford Bingelli and Bill Nunley returned to the area of the old mine. They brought ropes, lights, hammers, drills and dynamite: everything needed for retrieving a fair amount of gold from the ancient workings. They had always assured themselves that if they could locate the site where they had eaten lunch that day, they could find the mine. It was a simple enough task to locate their lunch site, the small rise at the head of Rhoades Canyon, but they found it impossible to relocate the old mine. Bingelli was certain that after lunch that day they had gone in one direction and Nunley was just as certain that they had left in another direction. Be that as it may, they searched in both directions, but they never could find the elusive bonanza." While exploring the cliffs in the map above we discovered this small cave that someone had been digging in fairly recently but nothing that matched Bingelli's description. There are many pockets and holes to explore in Trail Hollow, the biggest problem is getting to them. Another story was told by George Thompson in his book "Faded Footprints" pg. 49 regarding the same mine. "Somewhere in that wild country of cliffs, rock slides and down-fallen timber, between the towering ledges of "The Bluffs" above Iron Mine Creek, the dark depths of Trail Hollow and the sheer drop-offs of Lightning Ridge, there is one of the most fabled of all lost Spanish mines; The Lost Stone Staircase. During the hard times of the 1930s, a Civilian Conservation Corp (CCC) worker who was building forest trails and terraces to prevent slope erosion fell into an old mine shaft. He was pushing his way through thick brush when suddenly he stepped into an unseen pit. Fortunately, that hole wasn't deep and was inclined so that its slope broke his fall. There were wide steps cut into the floor of that incline, which he was able to use to climb back onto solid ground. He was an easterner who had frequently been ridiculed by his western-born companions, so he never mentioned the incident to them, not wanting to be taunted further. It wasn't until some weeks later when camp talk turned to tales of lost mines that he told of his harrowing experience. He described how the shaft was in thick brush, close to an especially large pine tree which stood at the base of a steep slope. By then the CCC Camp had been moved across the mountains to Wolf Creek, too far for any of the workers to walk back to search for the mine shaft. It is unlikely that any of those young men ever heard of the lost Stone Staircase Mine or had any interest in it. But plenty of prospectors have heard of it since then, and quite a few of them have spent years looking for it, but no one has stumbled upon it since the days of the CCC. The late Gale Rhoades spent as much time as anyone looking for that famous mine. Dusty was a dedicated and conscientious prospector, and he made careful notes and sketches of the places he searched. He never found the Stone Staircase, but he did do a lot of research and made some interesting discoveries. He gave me many of his notes and sketch maps before he died, which describe the terrain where the mine is supposed to be located. Those sketches show the shaft almost exactly as the CCC worker described it, having a line of stone steps cut into its inclined course. They also show several sink holes, an old pack train trail in places cut into the rocky side of a canyon wall, and a gold-bearing ledge." This symbol is write on the road near the ranch, but is interesting and appears to be old. These series of x's are on the West side of the river and a little south of the Ranch. They seemed to lead to the base of the large ledges. This appears to be another shield symbol on a dead tree found near all the x's. There are many interesting sybmols along this trail. We are still exploring the area and are hoping to stumble upon something by following the clues. Just spent the day up exploring. This is some very rugged country. definetly dont come unprepared bring a map and compass or GPS to make the most of your time. After reading the story about the lost stone staircase and hiking around the area I can see how it would be easy to get turned around and also hard to find a once discovered and covered enterance. The Stone face appears to have been carved. The cheeks or side of the face are of a lighter color rock than the top of the head. And as with Mt. Rushmore, there is a big pile of rock scraps under the face from chiseling away waste rock. The face is definitely carved, the sides of the face are a lighter color than the top of the head. There is a big pile of waste rock under the face hidden by the trees. I love the North Fork area. There is more exploring to be done in this area then I'll ever have time for. This should be on our list for this summer to explore!